Hafan: What do you know about Welsh language and culture? The future of Wales is as exciting as its past. Take our challenge, listen to stories from the locals and get to grips with Welsh culture and language. Sequence under Creative Commons BY-NC-SA 4.0 license Select the image above to begin the challenge exploring Welsh language and culture. For best results, use a modern web browser. Try a free alternative like Google Chrome, Firefox or Safari. Enjoy learning about Welsh language & culture? If you enjoyed Hafan, you may be interested in finding out more about Wales and Welsh by doing our short online course ‘Discovering Wales and Welsh’. For more information go to on the course select here. 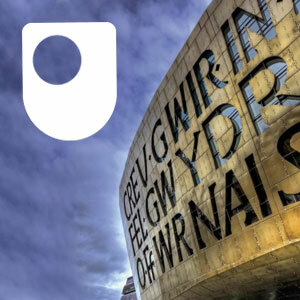 A free taster is available on OpenLearn in our free course Discovering Wales and Welsh: First Steps. The home of bilingual, free learning in Wales. This free course, Discovering Wales and Welsh, introduces you to who the Welsh people are via a brief look at history and two significant figures, Owain Glyndŵr and Llywelyn the Last. You will also learn the basics of Welsh pronunciation and how to greet people in Welsh. This free course, Croeso: Beginners' Welsh, is taken from Croeso, a beginners' language module that concentrates on Welsh as a tool for communication, but it also provides some insights into Welsh societies and cultures through printed and audio materials. It will be of interest to all those who want to improve their language skills in order to communicate more easily and effectively in Welsh. The course focuses on basic greetings and introductions, numbers and days of the week. By the end of the course you will have gained confidence in communicating in Welsh, and you will be able to understand language used by speakers from different areas of Wales. You will develop the four language skills of listening, speaking, reading and writing in Welsh. Mae darllen, gwrando a meddwl fel rhan o'ch astudiaeth yn aml yn mynd law yn llaw â gwneud nodiadau o ryw fath. Fe welwch fod sawl ffordd wahanol o ddarllen a sawl ffordd wahanol o wneud nodyn o rywbeth. Yn dibynnu ar eich sefyllfa, efallai y byddwch yn darllen yn fwy neu'n llai am rywbeth, neu efallai y byddwch yn canolbwyntio ar un adran benodol o lyfr. Efallai y byddwch yn gwneud nodiadau helaeth, yn nodi ond rhai geiriau yn unig, yn gwneud diagramau neu efallai na fyddwch yn gwneud nodiadau o gwbl. Yn yr uned hon byddwch yn cael arweiniad ar ba dechnegau i'w defnyddio a phryd i'w defnyddio. Gall dod i wybod sut rydych yn dysgu eich helpu i ddatblygu technegau astudio sy'n gweddu i'ch anghenion a'r dasg dan sylw. Bydd gwella eich strategaethau astudio yn arbed amser i chi, yn ysgafnhau eich baich gwaith ac yn helpu i wella ansawdd eich gwaith. Yn yr uned hon byddwch yn dysgu technegau ac yn datblygu sgiliau a fydd yn eich helpu gyda'ch astudiaethau. Icons of Wales: Who's the missing icon? Read nowIcons of Wales: Who's the missing icon? This free course provides an accessible and lively social science account of contemporary Wales. It introduces key aspects of the economy, society, politics and culture of Wales, providing a wealth of up-to-date evidence that is organised around core social science concepts and theories, to help you make sense of a changing nation. Wales is a vibrant nation with its own language, musical heritage and strong cultural identity. Central to this identity and a source of national pride, is rugby, which is deeply embedded in the national consciousness and explored in ‘Rugby and welsh identity’. Away from the sports pitch, this collection also looks at place and belonging, gender and race, nationalism and language, class, work, and political and cultural representation in Wales. This material forms part of The Open University course D172 Contemporary Wales. Discovering Wales and Welsh is a 100-hour online course for anyone interested in learning about Wales and acquiring basic language skills in Welsh.